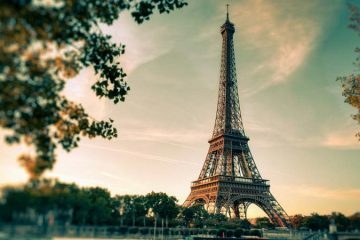 However, as you go further down the list, you may hear tourists refer to one place or another as a one-day city, usually a term of disparagement that infers that a city’s major attractions (whether they’re churches, museums, monuments or other cultural treasures) are so limited you can probably see them all in a day – or less. 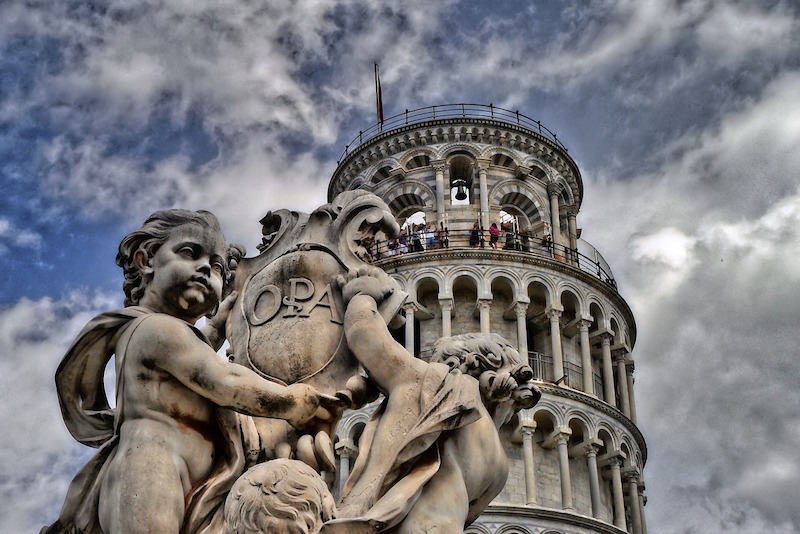 Pisa is one of many underrated cities in Italy that bears that cross. 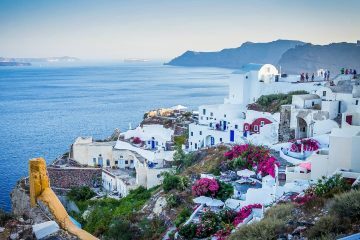 Most travelers realize that truly grasping the rhythms of any destination, and beginning to understand the customs and lifestyle of its people, is quite difficult, if not impossible, to achieve in one day – whether you’re visiting Pisa or anywhere else. A one-day trip only allows you to skim the surface. But what if you truly only have one day to see a city? That happens often when traveling. Perhaps, you’re on your way to or from somewhere else (e.g. an ocean cruise or riverboat voyage) or already have all your other days accounted for. 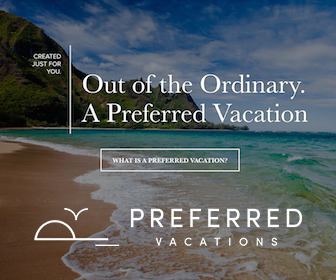 How can you enhance your ability to discover some of a destination’s hidden charms, in addition to those you may have read about? Finding someone to help curate your day and arrange the logistics can save time and enhance your experience. 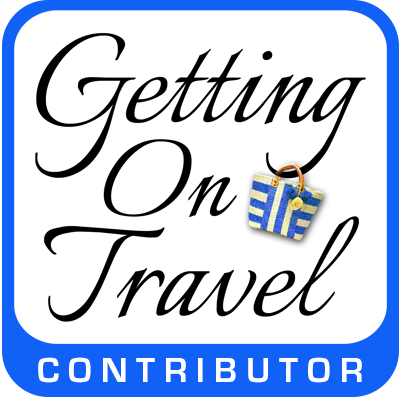 Creating an itinerary when traveling with a group, generally a process of negotiation, can be daunting. One person’s been there, another has no interest and another wants to go somewhere else. The VRBO rental villa where we were staying for our first week in Italy, called Cappella Di Pancole, was located in the hill town of Castelnuovo Berardenga, about 50 miles from Florence and 10 miles from Siena. Of course, we planned visits to both anchoring towns but we also wanted to dip our toes into the neighboring region of Umbria. We pinpointed the location of our villa on Google Maps and drew a wide circle to see where else we could visit. All of us quickly agreed on one thing: We love Italian chocolates. So we decided to visit Perugia, the capital city of Umbria, only about one hour away. This university town, known for its art and culture, is also the home of Baci® Perugina® chocolates. 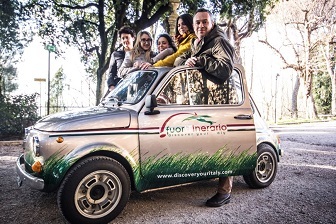 Fuoritinerario: Discover Your Italy is a boutique tour company owned by Matteo Della Grazia and his wife, Daniela Mencarelli. 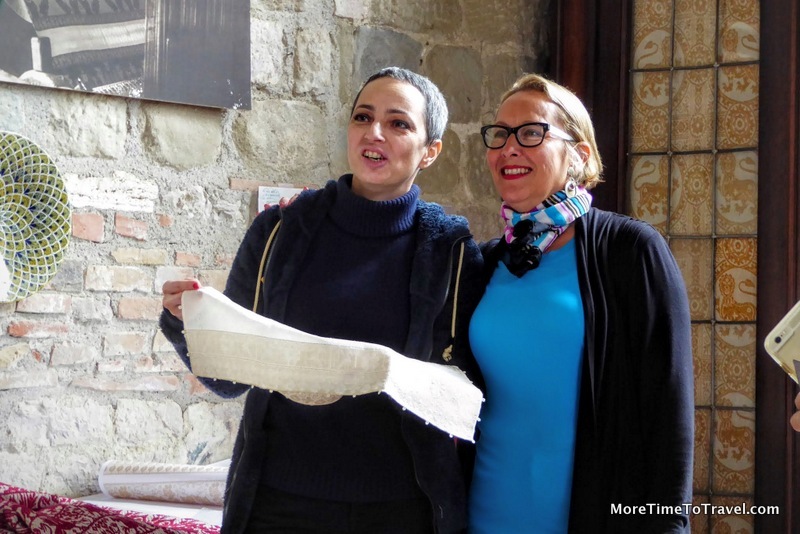 A friend in the travel industry introduced us to the couple who arrange bespoke, individual and small group experiences throughout Italy, enabling visitors to “discover Italy,” based on their personal passions. Matteo responded quickly after we emailed him, and offered to help plan a day in Perugia to our specifications. 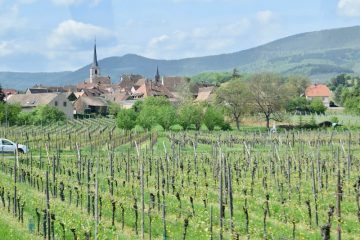 He asked where we were staying, whether we needed transportation, and threw out some ideas to gauge the interests of our group – beyond chocolate. 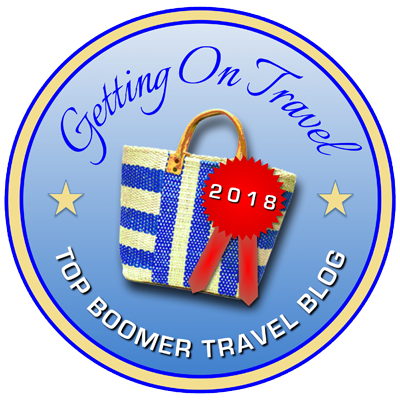 Among a rather exhaustive list of choices, we could have met with local cheese producers; visited a workshop that makes stained glass windows for churches; and visited Lake Trasimeno, the largest lake in Central Italy, by boat. Clearly, Perugia isn’t a one-day town. Our group conferred (over Chianti again), this time in an Italian restaurant in Manhattan, and chose three experiences for our upcoming visit. Matteo surprised us with four! Our villa was located off a winding, dirt road about 15 minutes from the paved road leading to the highway. 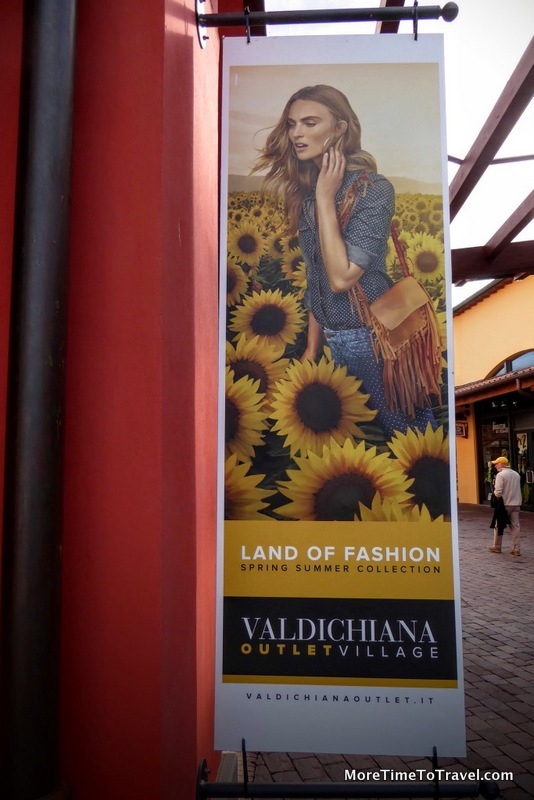 With Google Maps in hand, we piled into our rental van to meet Matteo and Daniela at a point halfway between our villa and Perugia: the convenient-to-park-at Valdichiana Outlet Village at 9 am, before the onslaught of bargain hunters. During the ride in his comfortable air-conditioned van from the outlet mall to Perugia, Matteo briefed us on the history of the city and its Etruscan roots, proudly telling us about the university founded here in 1308, and pointing out the rich agricultural bounty beyond the highway. My fashionista girlfriends were impressed to hear that iconic Italian companies like Luisa Spagnoli, Brunello Cucinelli and Ellesse were founded here, too. 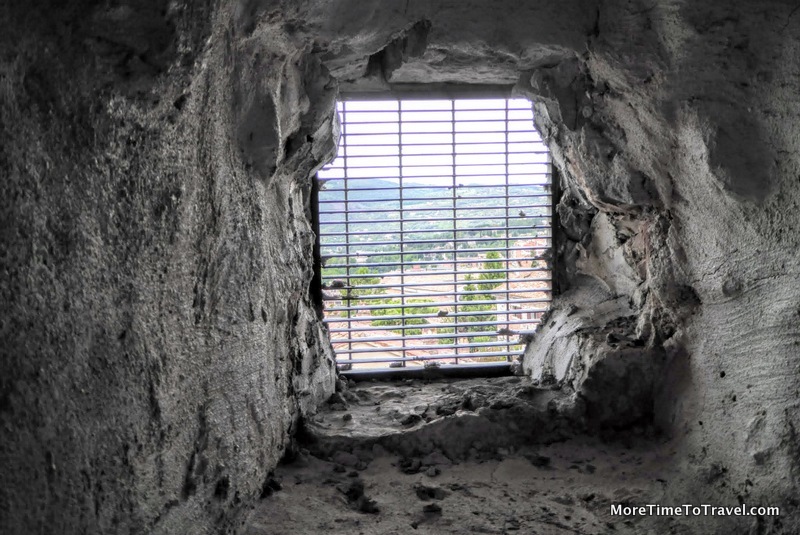 Before we knew it, Matteo was pulling into a spot in the parking lot beside the first Franciscan church in Perugia (the Church of San Francesco delle Donne), established more than 800 years ago in 1212. Matteo showed us the demarcation on the medieval church walls, separating the portion of the structure that dated to the Etruscan period. Marta Cucchia, the jocular woman who runs the Museo-Laboratorio di Tessitura a Mano Giuditta Brozzetti greeted us inside and showed us around. In this hybrid workshop/museum, artisans use century-old techniques on antique wooden looms to create elaborately patterned textiles. 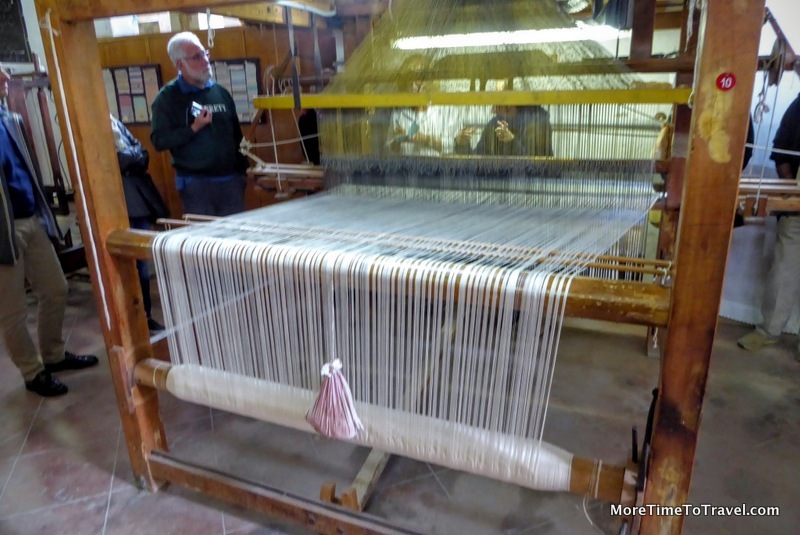 The oldest loom in the space had been in use since the 18th century. 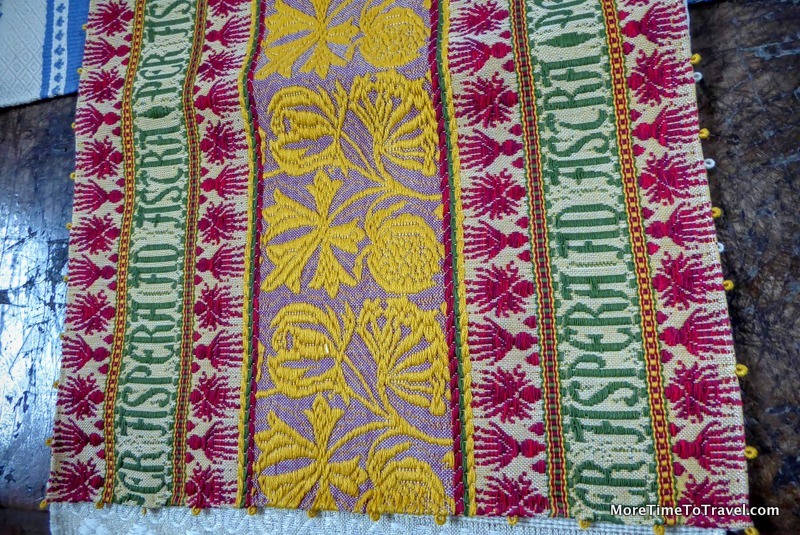 We learned that Umbrian textiles come in over 200 intricate patterns; it takes 20 days to complete a tablecloth for 12. The fabrics are so magnificent that they are displayed in the National Art Gallery of Umbria. Sadly though, we were told that this time-honored craft is a dying tradition. Marta’s grandmother, Giuditta Brozzetti, once managed a crew of 20-30 weavers; now only a few older women still work the looms. “I am the last one,” said Marta. We’ve visited museums around the world in New York and while traveling, sometimes with guides or audio tours. But this time, Matteo raised the bar. He told us that he arranged for our group to have a private tour of the National Art Gallery with Marco Pierini, its new director. Patiently, Director Pierini walked us through the beautifully displayed installations explaining his favorites. 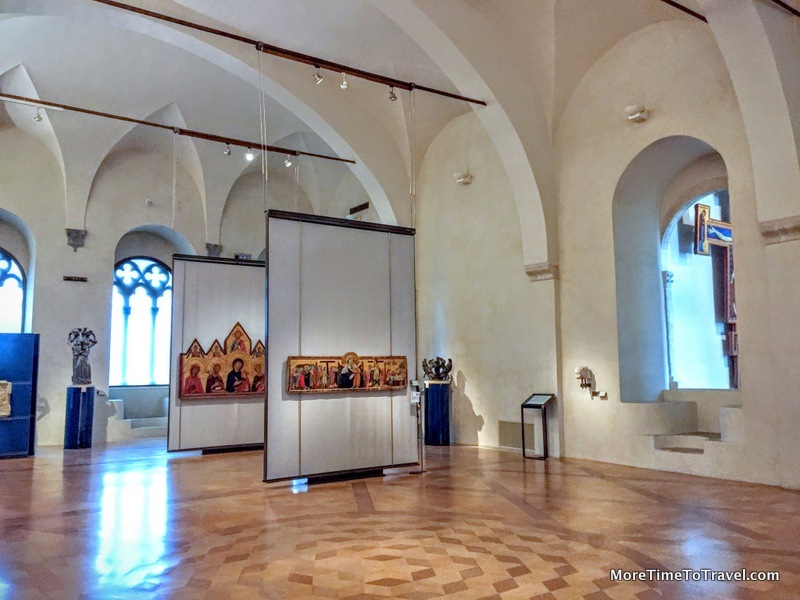 They included frescoes, crucifixes and altarpieces (some dating back to the 13th century) and the museum’s “newer” acquisitions, paintings of Italian masters of the medieval and Renaissance periods (including Perugino and Fra Angelico). 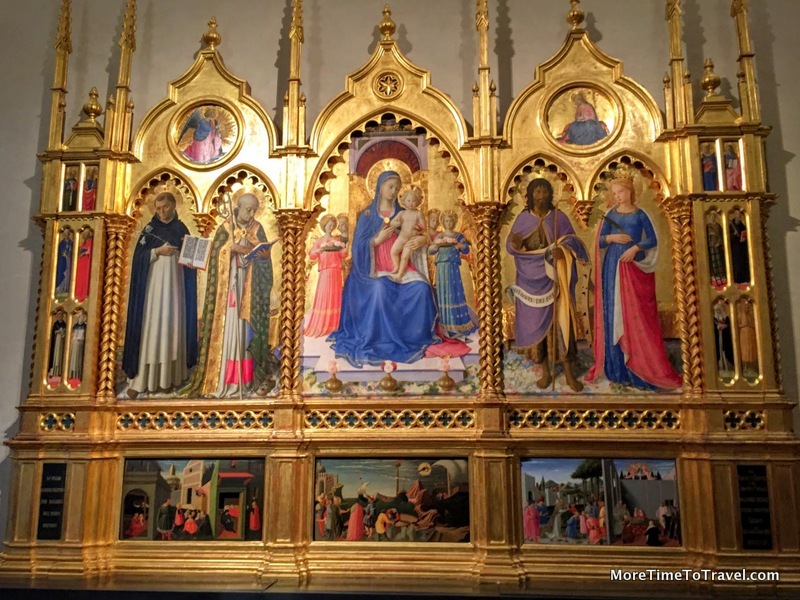 Granted, the collection isn’t as impressive as that in Florence’s Uffizi Gallery but the experience was far more personal and without the crowds and queues. There were once 70 towers in Perugia, a symbol of its strength and status. Now only the 13th century Sciri Tower (Torre degli Sciri) remains. Undergoing renovation since 2011, it still hadn’t been opened to the public when we visited. Somehow, Matteo had the connections to get the keys to the tower. Following him and a colleague, we scaled the dark narrow steps to the top single-file, wondering if it would be worth the effort. We weren’t disappointed. From this perch, we saw expansive views of Perugia and the surrounding countryside. After we slowly descended, there was another surprise: At the church at the bottom, proud locals had set up a light lunch with wines for Matteo’s visitors. Many Americans (and some Italians, too) know Perugia as the home of Perugina®, maker of Baci® (which, in Italian, means kiss) chocolates. 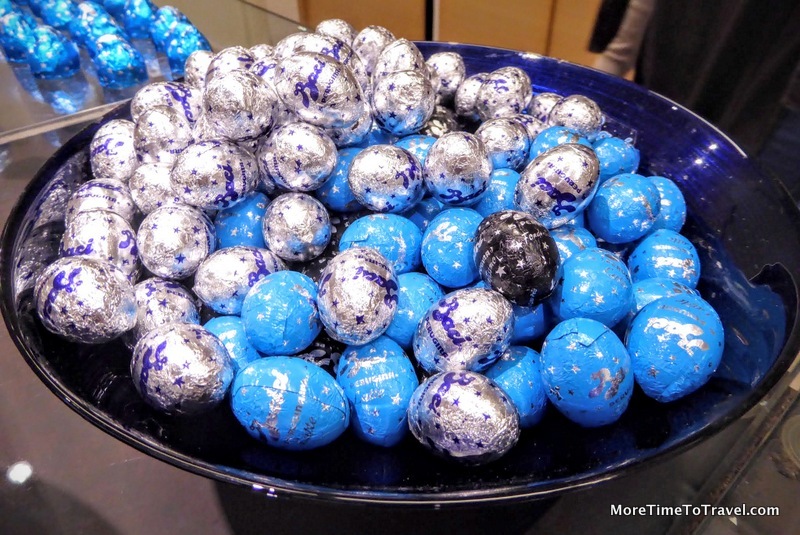 These are highly addictive chocolate truffles laced with hazelnuts, wrapped in silver and blue, with a love note inside. 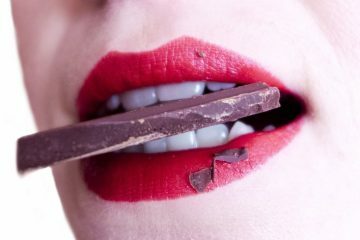 Perugia also hosts a chocolate festival every October. A tempting bowl of Baci chocolates. The factory produces 1.5 million of these a day! At our last stop at the Perugina Casa del Cioccolato (the chocolate factory), we were able to skip the lines because Matteo had prearranged entry. Tempting smells of chocolate wafted through the air as we watched an introductory video, took a guided tour of the museum and factory, and were treated to long-awaited, unlimited samples of Baci® chocolates in different varieties. We even stuffed a few in our pockets for the ride back to the Valdichiana Outlet Village. Every time we eat a Baci® now, we’ll reminisce about our visit to Perugia and getting to know our friends, Matteo and Daniela. 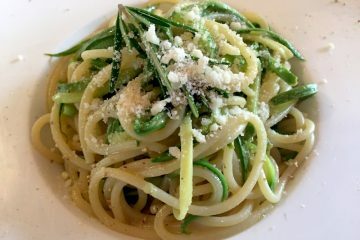 It’s nice to place yourself in the hands of a business that is Italian-owned with a network of local contacts across the country. Good communication (including fluent English) makes it easier to travel, especially in areas that aren’t as popular with tourists. 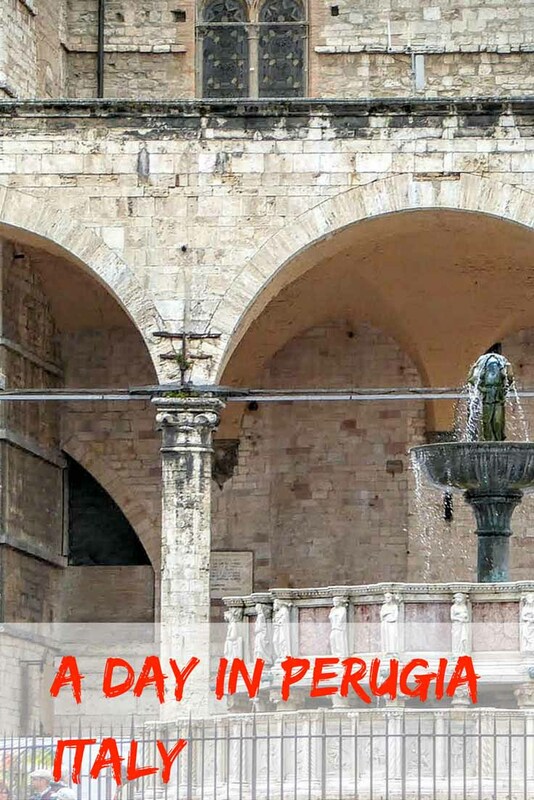 We loved the interactive approach to booking our day in Perugia, being able to shape the day in a way we wanted with expert input. At our age, we have no time to waste! We loved the stress-free efficiency of not having to deal with the hassle of logistics and being able to go at our own pace. The literal translation of Fuoritinerario is “off the beaten path.” Matteo made us feel like “insiders” rather than tourists. The tower climb isn’t for the faint-hearted. 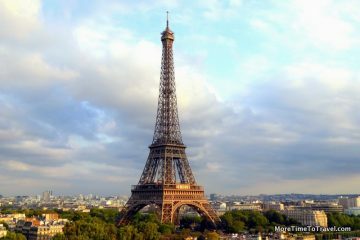 Climbing the 150-foot tower is far more daunting than climbing the stairs to Anne Frank’s hiding space in Amsterdam. Although exhilarating, long days of touring can also be exhausting. Be sure to get a good night’s sleep the night before and wear comfortable shoes. When booking a bespoke tour, make sure you are clear about your budget and time constraints. 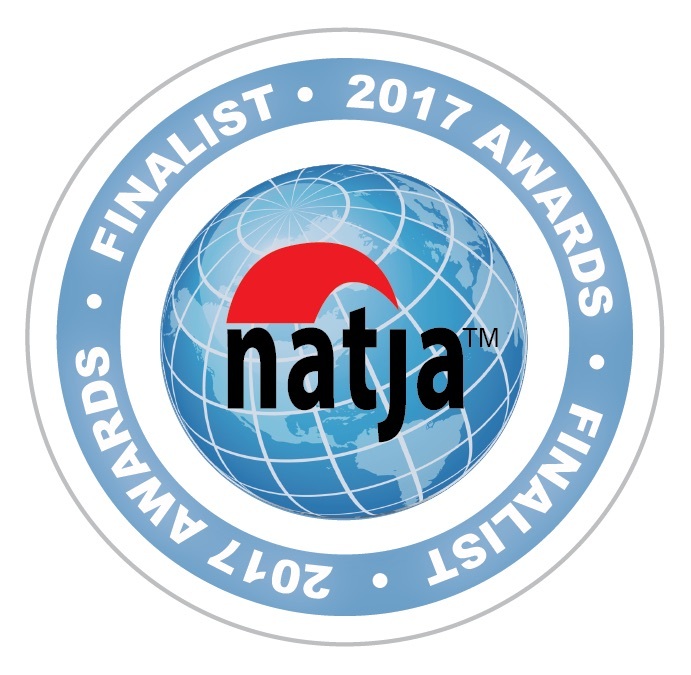 Travel & Leisure named Matteo and Daniela as one of the world’s best European travel agents. 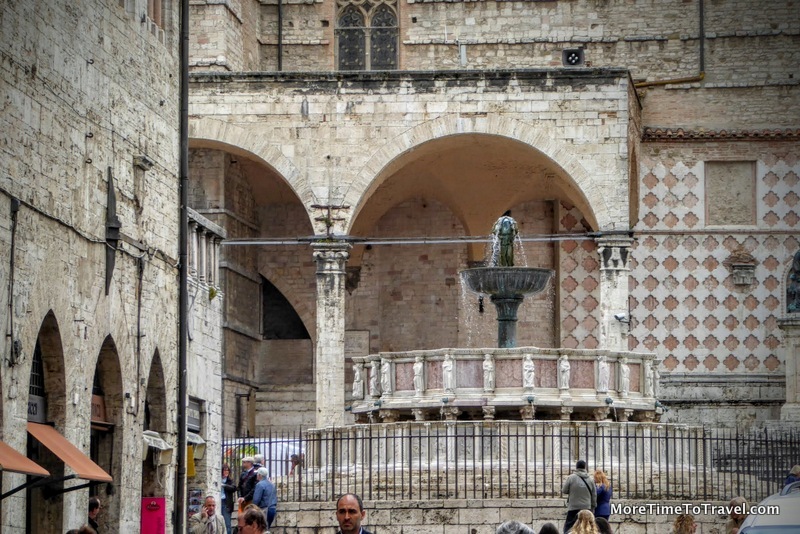 The author’s tour of Perugia was hosted by Fuoritinerario: Discover Your Italy. I agree – definitely worth more than a day! 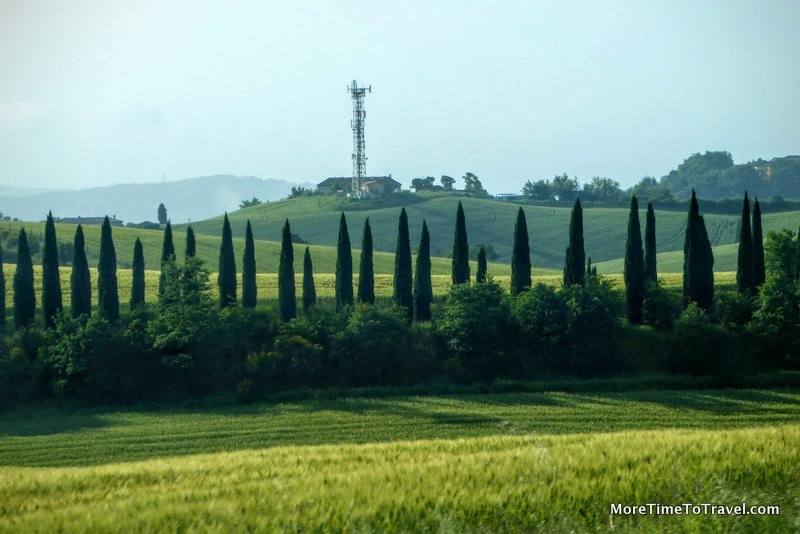 We’ve recently watched Luisa Spagnoli on mhzchoice.com, and have really enjoyed the Perugia scenes, as well as the countryside…both that and your post make us eager to return! Would love to watch it, too! Will have to check into mhzchoice.com! Leaving for Portofino/Rapallo tomorrow and know that I’ll discover far more in person than I have in researching online. We knew when we went to Bologna that we had underestimated the amount of time needed to explore that wonderful, towered and portico’d city. Can’t wait to get back. Very inspiring. I was in Assissi last summer but didn’t get as far as Perugia. Would have loved to climb the 150 foot tower as well as Anne Frank’s hiding place. 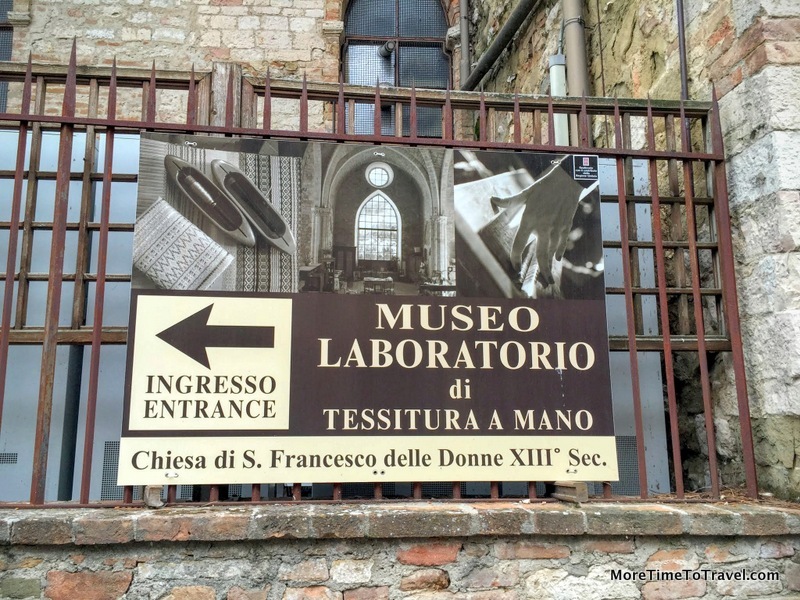 I agree totally about pre-planned trips; what an adventure you had in Perugia! I will be in Italy starting May 20 for two weeks!! I am so excited! I’ve been to 45 countries, but never Italy. Reading your post certainly helps with my excitement! I love tours that are pre-planned puts the stress on someone else! Perugia looks like a magnificent place to visit. It was very nice not having to worry about any of the logistics and timing! And I loved the sound of these logistics of being swept around town so effortlessly – Sounds like a perfect solution to me! Especially when time is short! Yes, when you visit multiple cities, research can sure take up time—and it’s always better to get advice from someone who knows the city inside out! It sounds wonderful. What an enchanting place. Thanks for sharing! We were certainly charmed by Perugia! Glad I could convey even a little bit of the enjoyment of a memorable day! I’ve been to Italy several times but haven’t visited Perugia. Definitely going to add it to my list. Your pictures are beautiful and those sandwiches look scrumptious. 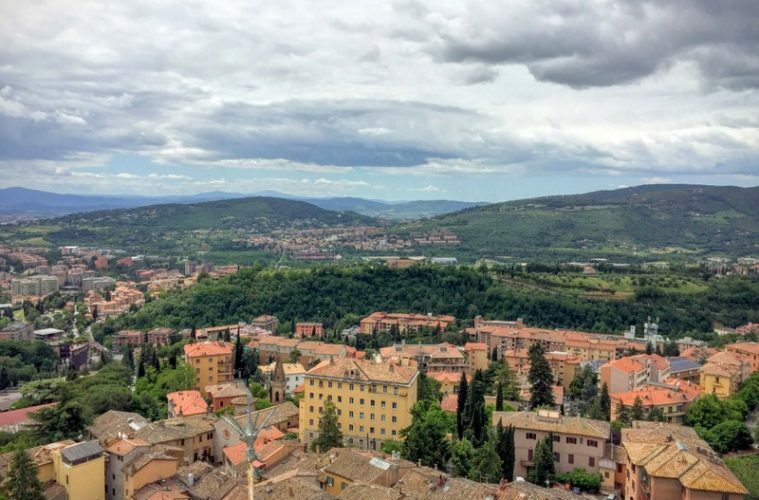 We’ve found that there’s much to be said for the less-traveled cities of Italy—although Perugia would still be considered a mecca for tourists! I love Italy but I haven’t managed to visit Perugia yet, it looks absolutely wonderful though and I’ve heard many great things! Fab post! I hope you get there! Think you’ll love the city and surrounding area. Lovely article on the underrated town of Perugia. You captured the wide variety of pleasant surprises of the day you had there! Our day was so well-planned and effortless, especially since we were a group of six! Traveling in a pack can get tricky. 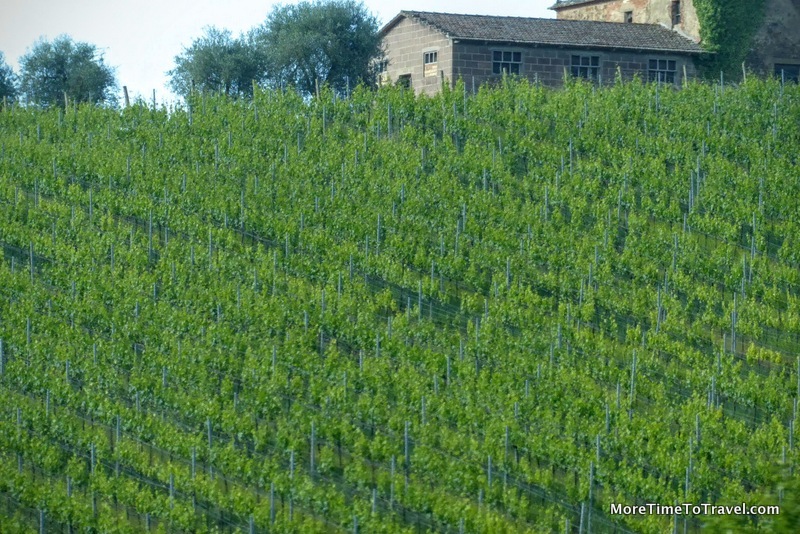 Shoulder season in Italy usually guarantees not only perfect weather but also harvest-related activities! I was once lucky enough to be in Perugia for their annual jazz festival. It was so enjoyable, and also surreal, to see my favorite American/world musicians in this small historical city. What a great time to visit! I love this small town philosophy. So often we are so enamored with “What we have to see” that we miss the very special places that are not in the spotlight. 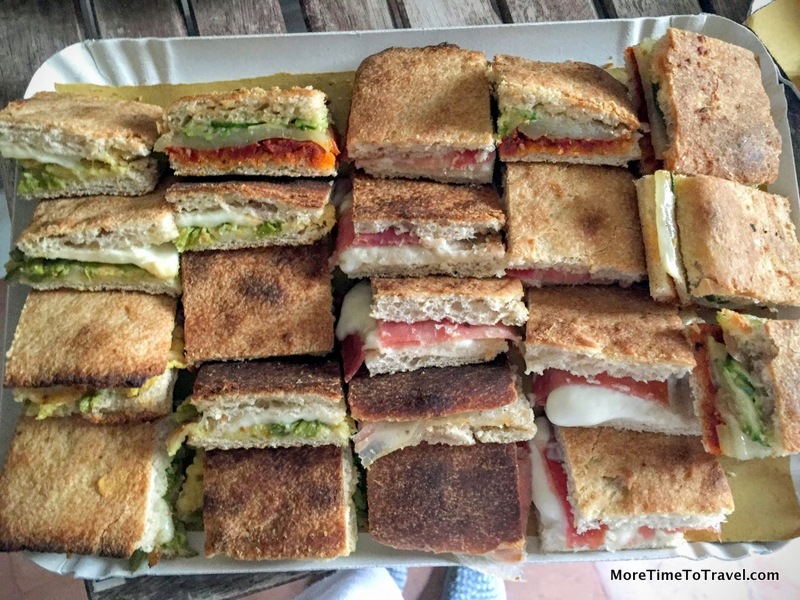 I travel to Tuscany in June and will channel your ideas! Ciao! I agree that Italy’s smaller towns are often underrated. 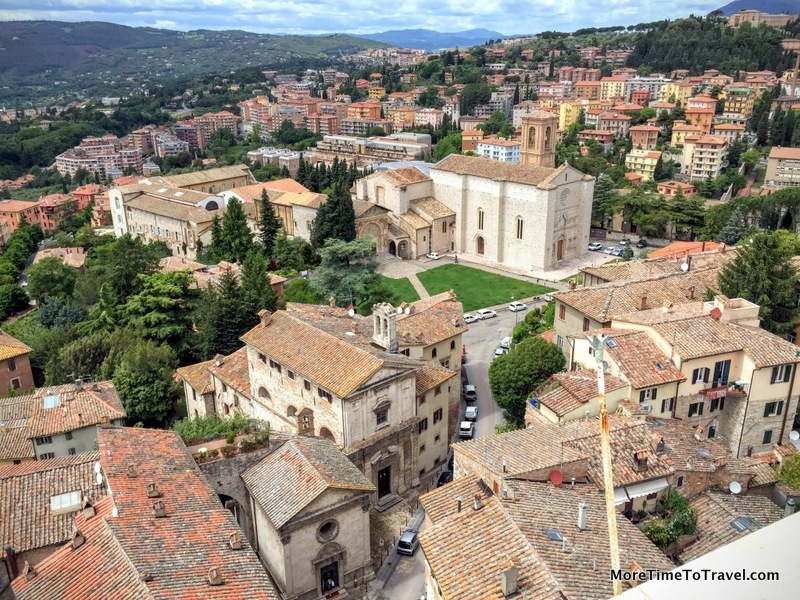 I haven’t managed to get to Perugia yet – it looks worth a visit for the art and the chocolate, quite apart from everything else! I hope to return because one day wasn’t enough!